Littleport Town FC Gets Shirty! LTFC will be getting shirty with their opponents in more ways than one this season! With renewed vigour and in optimistic mode, the club and its supporters are looking forward to progress in the coming months. Local traders, and this magazine, have shown their faith by sponsoring items of kit. Andy Richardson Floor and Wall Tiling is now among the proud sponsors of Littleport Town FC. 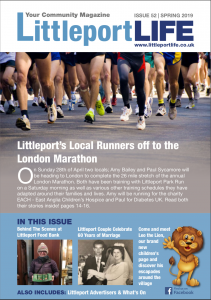 His company has sponsored kit, with warm-up jackets from Ben Layn Builders, sub-suits by Ambrose Roofing, and Littleport Life Magazine has sponsored their training shirts. 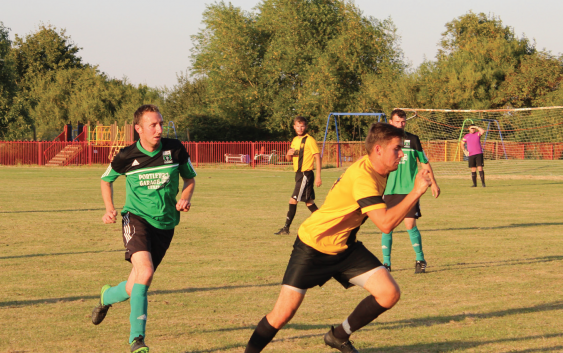 They kicked off at the beginning of September, spirits undampened by losing a hard-fought match on a rainy day, on their home ground at the Littleport Leisure Centre.